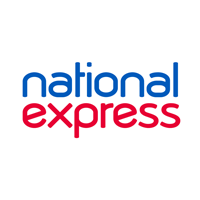 “National Express has had another strong start to the year, delivering its best ever half year statutory profit, up 24% year-on-year. Our increasingly diversified portfolio has again delivered strong results and has entered a new phase of expansion in to complementary growth markets. “All of our divisions have grown revenue, profit and commercial passengers through a relentless focus on good customer service and technology investment. We also continue to make disciplined acquisitions that help grow our portfolio strategically. We have made seven acquisitions so far this year and have entered new fast-growing markets, providing avenues for interesting future expansion. Our pipeline of new opportunities remains strong and growing. · Record Group statutory half year profit before tax of £80.1 million, up 24%. · Growth in free cash of over 3% to £85.2 million; full year guidance raised to £170 million. 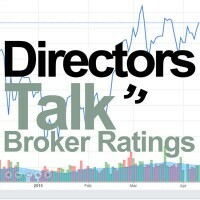 · ROCE increased by 20 basis points to 12.2%; net debt gearing held flat at 2.3x EBITDA. · Interim dividend increased by 10.1% (4.69p). o German Rail: declined 1.3% in constant currency, as last year benefitted from catch up revenues (up 5.6% on an underlying basis). o UK: grew by 21.5% to £31.6 million, boosted by £3.4 million of property disposals; underlying profit growth was 8.5%. o Average rate increase of 6.6% on contracts up for bid or renewal, or 3.7% across the whole portfolio. Driver wage increases are projected to be 3.4% in the next school year. · All main divisions have grown commercial passengers, with the Group carrying nearly 1.5% more year-on-year. · We have installed the largest contactless payment system on buses outside of London, helping to drive like-for-like commercial passenger growth of 1.3% in the West Midlands. · Our sophisticated revenue management systems on UK core and Spanish long haul coach routes have helped increase revenue per mile by 6.6% and 1.3% respectively. · We are accelerating the roll out of smart safety DriveCam technology, which is helping reduce the incidence and cost of accidents. · We have made 7 acquisitions in the period: 3 in ALSA and 4 in North America, consolidating our presence in existing core markets and expanding in to growth segments. · In July we won a significant 500 bus contract in Rabat, Morocco. We are now the largest public transport operator in Morocco. · Our new Geneva, Switzerland operations have grown very strongly, with our first acquisition – AlpyBus – growing revenue by 26.3% and profit by 33% in the first half. New summer tourist services have been launched. · Significant expansion in US charter and UK employee shuttle services, with new opportunities secured in the rapidly-growing Spanish cruise ship and urban minicab markets. · A new on-demand bus service due to start shortly in the West Midlands.